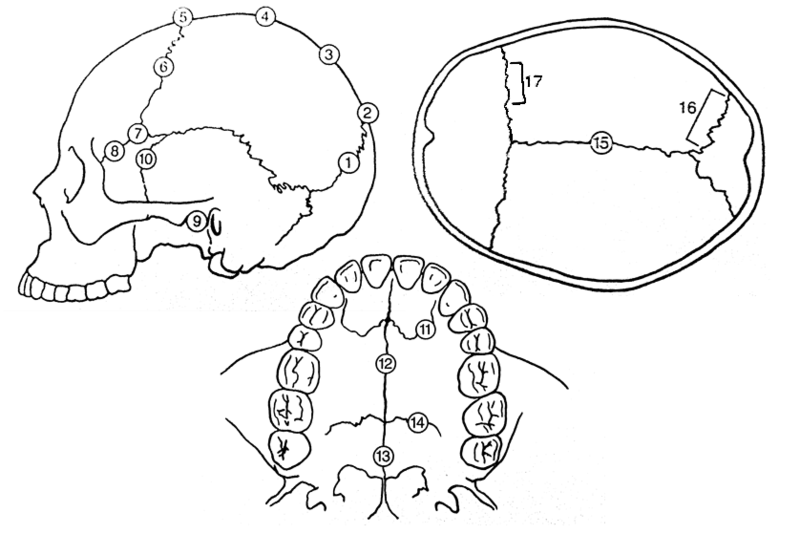 Quick Tips: How To Estimate The Chronological Age Of A Human Skeleton – Cranial Suture Closure Method. – All Things AAFS! This entry was posted in Anthropology, Archaeology, Estimate The Chronological Age Of A Human Skeleton Series, Forensics, Quick Tips and tagged ageing remains, ageing remains by cranial suture, aging remains by cranial suture, Anthropology, Archaeology, Buikstra, chronologically aging skeletal remains, cranial, cranial suture method, cranial sutures, Quick Tips, suture closure method., ubelaker. Bookmark the permalink. ← Porthkerry Country Park’s hidden archaeological secret. Very informative and great for my classes!